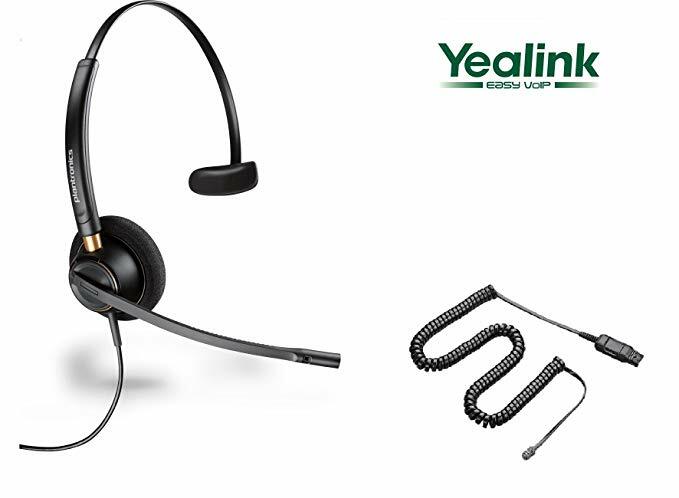 These are direct connect compatible headsets for the Yealink SIP-T19P, SIP-T20P, SIP-T21P, SIP-T22P, SIP-T23P, SIP-T23G, SIP-T26P, SIP-T27P, SIP-T28P, SIP-T29G, SIP-T32G, SIP-T38G, SIP-T40P, SIP-T40G, SIP-T41P, SIP-T41S, SIP-T42G, SIP-T42S, SIP-T46G, T46S, SIP-T48G, SIP-T48S SIP-T49G, SIP-T52S,SIP-T54S, SIP-T56A, SIP-T58A, SIP-T58V phones. Simple plug the headset into the headset jack (along with the appropriate cable) and hit the headset button to answer and end calls. If your Yealink Phone is not listed,call us for compatibility. Plantronics Corded Headsets: Pick any PLANTRONICS H-SERIES HEADSETS with this special Plantronics Polaris U10P-S Reversed Bottom Cable . No additional amplifier is needed. Jabra/GN Netcom Corded Headsets: Choose any model from the Jabra/GN Direct Connect Headsets page. 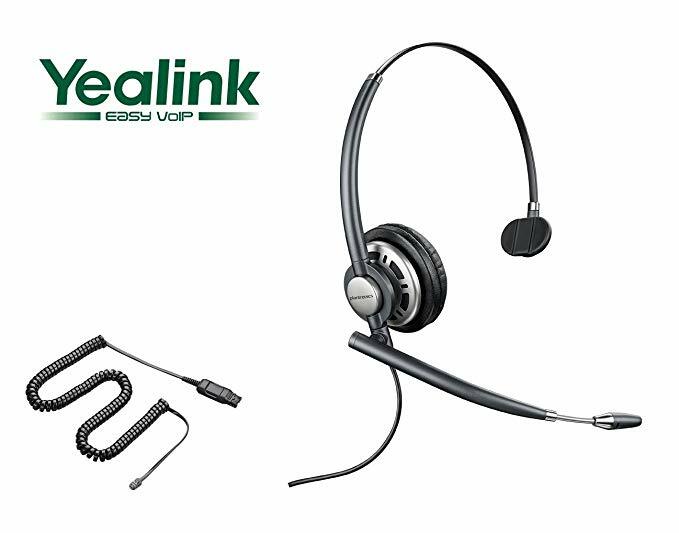 These headsets include the GN1200 smart cable (switch setting 4) for your Yealink IP phones. 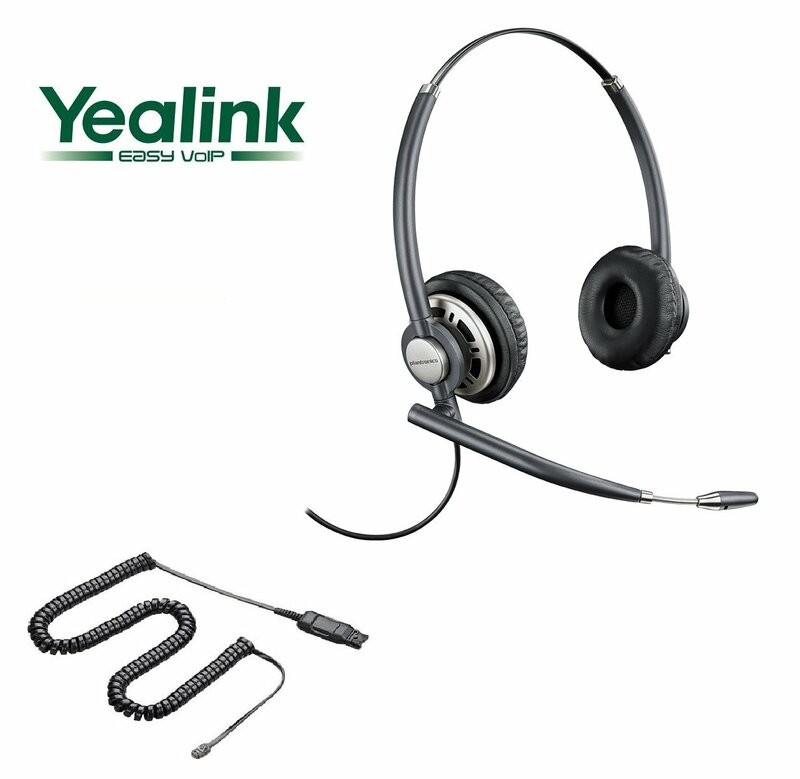 For Yealink T52S, T54S, T56A, T58A, T58V, Yealkink EHS36 is not compatible, use Plantronics Savi W440 440 USB Wireless Headset, or Lifter (HL10 or GN1000) for remote answering. 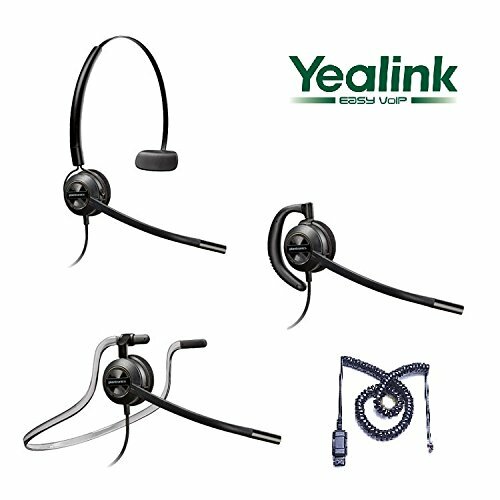 Still confused which Yealink headset you, need? 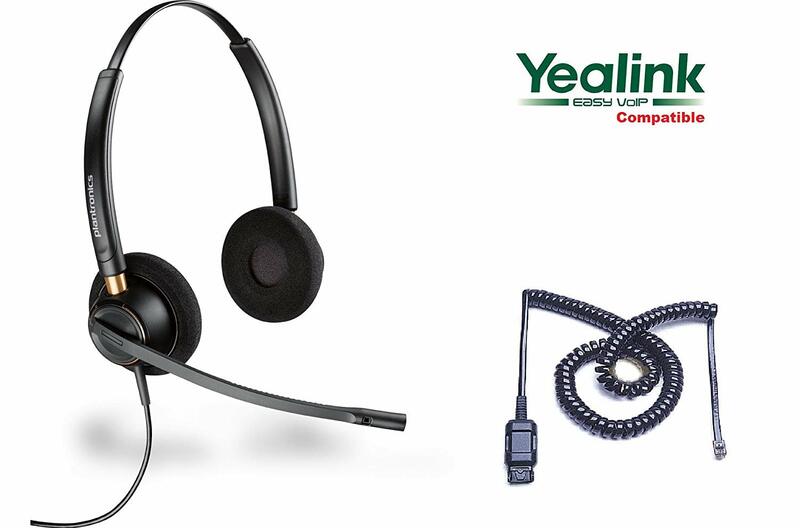 Call us at 877-999-383, we can help you with headset compatibility. This product makes use of the Plantronics headset much simpl ..